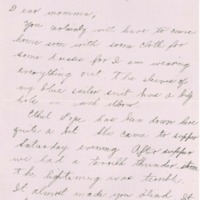 Ruth's Line's letter to her mother when her mother is away for a summer trip. Digitized on 4/05/2012 using an HP Scanjet 8200 at 200 PPI, 24 bit RGB. Web-viewable images created from master TIFF using Photoshop CS. 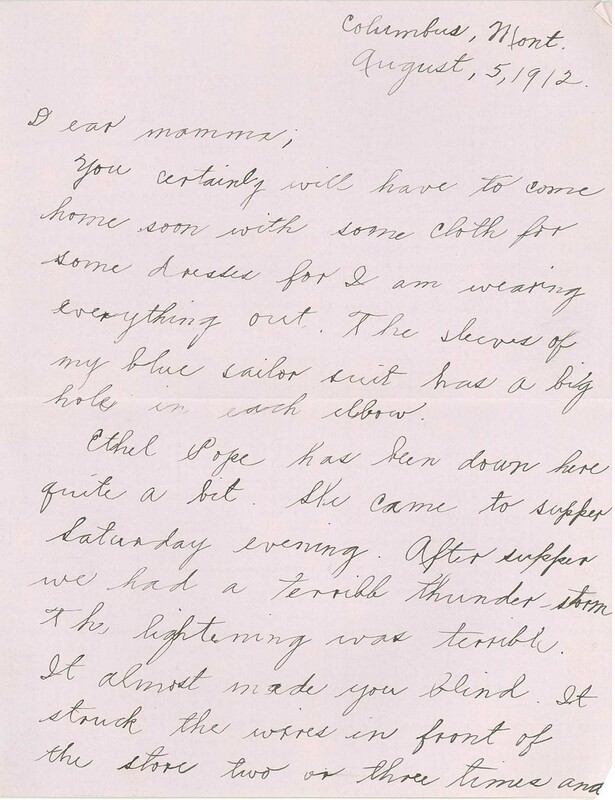 “Letter from Ruth Line to her Mother,” Archives & Special Collections - Maureen and Mike Mansfield Library, accessed April 22, 2019, http://exhibits.lib.umt.edu/omeka/items/show/1322.